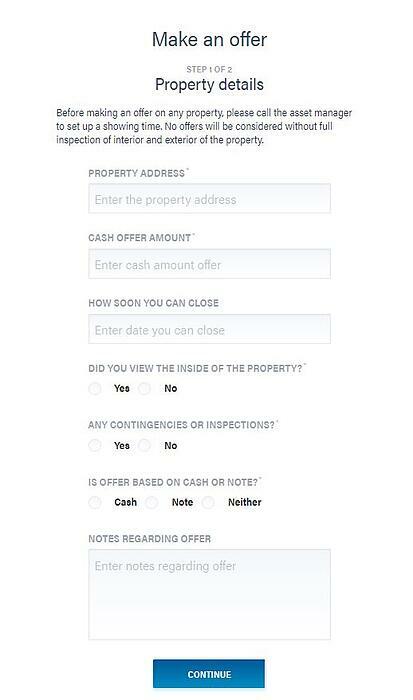 We understand that the home buying process can be a very stressful time but please know, here at CastleRock REO, we want to do everything we can to ensure that purchasing a home from us is as simple as possible! Ready to proceed? If yes, please follow the 4 easy steps below! Step 2: Click the orange button on the home screen top right corner- it reads "MAKE AN OFFER"
Step 3: Fill out Page 1 and press continue at the bottom! Once you have clicked submit offer your job is done! 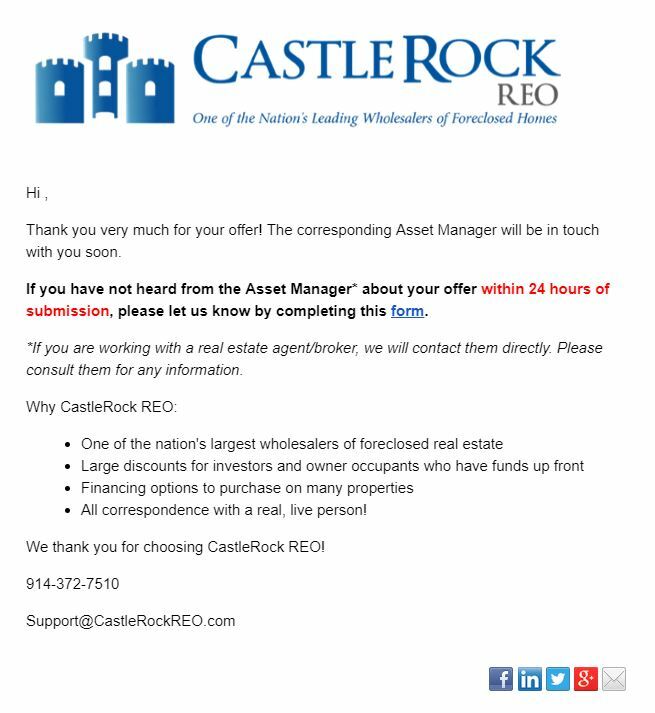 You will hear from the asset manager in charge of selling the property within 12- 24 hours! You will then receive a "Thank you for your offer email"
If you do not receive this email within 10 minutes of submitting your offer, please check your spam folder! If it's not there and you still haven't received it please send an email to courtney@castlerockreo.com for help! We value you and we hope working with us is a positive experience!